To ensure proper fitment please enter vehicle's Year, Make and Model in the Parts Compatibility above. Read all notes and compare with your vehicle information. If you are unsure please contact us with your vehicle info or your VIN and part needed and we will gladly investigate for you. When shipping items to domestic areas outside of the 48 contiguous states (including Alaska, Hawaii, and Puerto Rico) there are special eligibility considerations for large and/or oddly shaped items and some items may not be eligible for free shipping. 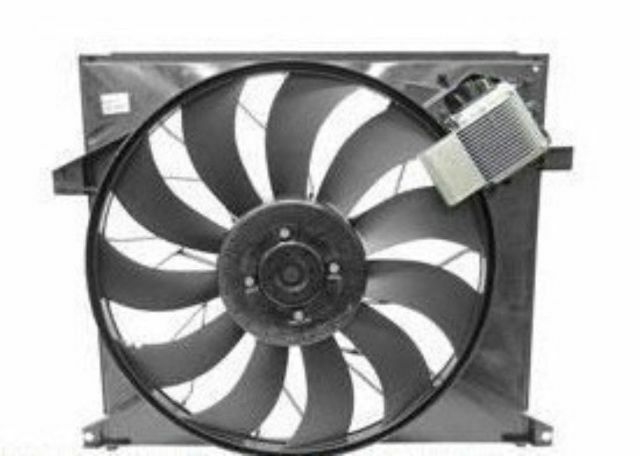 Genuine Mercedes Auxiliary Fan Assembly Behind Radiator Motor Blade Shroud w163 fits on the following vehicles. This is for your reference only, please check your auto manual to make sure it fits.